Long takes that unfold a particular plot. The main character is shown rolling with the punches throughout the whole film. Attempting a REAL "oner" is definitely more difficult than it seems. We will utilize camera positioning strategically to allow unnoticeable cuts to ensure the takes that the actors deliver are 100% on par. The idea of the film is to show the good and bad of one person in a single-shot style video. His interactions with the strangers he meets on the street show how he is able to channel both good and bad intentions based on circumstance. We intro with a man walking down a busy street downtown seemingly in a hurry to get to his destination. He is stopped by a grungy homeless man who is politely asking for change. Because this man is in a hurry, he quickly brushes off the homeless man and says a few rude remarks to him before walking away. Bummed, the homeless man gets up and walks into the soup kitchen he was standing outside of. When he stands up, we have an extra cross frame to allow our first seamless cut to happen. He walks in to get a bowl, where we reveal the same man that was yelling at him is now serving his soup to him with a smile on his face. The homeless man gets his soup and turns and walks away from the counter, walking past camera, completely obscuring the cameras view for a second (This is where the second cut will happen), and then proceeds to walk outside. We follow the homeless man out of the door, and pan over to reveal the three actors in Option 2. The next scene opens with the "bad guy" standing outside of the soup kitchen harassing a woman on the sidewalk. We see their interaction escalate for a moment, and then we see another man enter the frame to break up the altercation, his face is not revealed yet. The camera circles around the group of three (This will allow us to cut when the camera falls behind one of the actors). We eventually pan up to the man breaking up the fight to reveal the "good guy" that was shown in the soup kitchen. The fight calms down and the "bad guy" walks away from the good guy and the woman. The man asks if the woman is okay, she says yes, so he ends up continuing his walk to his destination. We see the "good guy" walking down the street and when the camera wraps around behind him, he sees a woman walking across the street by herself in an over the shoulder shot of the man. He then sees a hooded man run up to the woman and grab her purse and run away down the street as the camera pans. The man attempts to catch up to the robber as the camera follows him but he fails to keep up. The "good guy" then sees another man walking down the street by where the robber is running as the camera zooms in, so he yells and points at the robber. The man realizes what's going on and tackles the robber and restrains him. The camera then pans around to reveal that the robber is the "bad" version of the same guy. The "bad guy" stands up quickly, afraid that if he lags he might get caught for what he's done, so he sprints away from the scene. We follow him down a ways, the camera slowly gets closer to his back until the screen is completely black for 1-3 frames, and then we pan back out to let the man run away completely out of frame. As he runs, we pan over to reveal a guy and girl sitting at a park having a casual lunch date together. The scene opens with the "good guy" on a date with his girlfriend. They are grabbing some lunch and having a great time, then the girlfriend gets up to go to the bathroom. As the camera follows the girlfriend as she walks, it stops as another woman passes her and follows this other woman as she walks directly towards the "good guy" sitting alone in the park waiting for his girlfriend to come back. The camera orbits around the couple as the woman attempts to desperately flirt with the man and the "good guy" politely declines her advances. The guy points for the woman to leave in an over the shoulder shot, and she begins walking away. The camera follows her as she walks back towards where she came from. We now see a man inviting her to take a seat with him instead. The woman is blocking the view of the man's face, so you only see him motioning for her to come over to him, until she sits down next to him. As she sits, the shot reveals that this is the "bad" version of the same guy. The camera spins around the "bad guy" and the woman until we see a man enter frame in the background. The camera racks focus up to him as we begin to move camera towards him to follow him walking. We reveal that it is the "Good Guy" that is walking. The scene opens with the "good guy" walking down the main street. 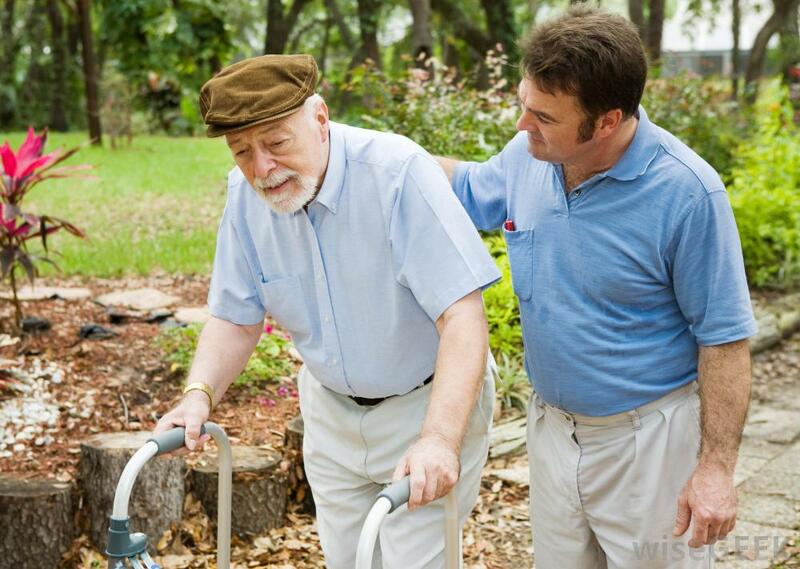 After a couple of seconds of walking, he stumbles upon an older man who is carrying groceries and struggling. The old man is barely able to walk and instead of helping him out, people decide to just walk around him. The "good guy" decides to help out the old man by carrying his groceries and helping him walk home. As the "good guy" is walking with the old man, a man in a business suit, holding a suitcase and on his cell phone bursts through the "good guy" and old man as if he's in a huge hurry. The camera follows the business man, then pans around to reveal that he is the "bad" version of the same guy. Shots will show how obnoxious and oblivious the "bad" version of himself is to people around him. We have an extra cross frame to allow a cut, where we show the business man walk past frame, and the camera flys back towards the "good guy" helping out the old man. The "good guy" disregards the rude behavior and follows through with helping the man before sending him off hailing a cab to head home. As a cab pulls up he opens the door to get in. Right before he gets in, another man rushes forward and jumps in ahead of him. The good guy questions this for a moment, before accepting it and just getting in after him. The camera tracks the man entering the car and ends up in the car positioned in the front facing the back seat, revealing the same man on both sides. The camera pans over to the driver who looks up in his rearview mirror, does a double take realizing that the same man is sitting on both sides, and then turn around to see with his own eyes. The camera pans back to the back seat, revealing just one of the men sitting there, with somewhat of a confused look on his face as to why the driver is staring at him. Edit Pace: Video will be cut to seem as all one-take.